The K.I.S.S.I.N.G lipsticks are Charlotte Tilbury's signature range, created with icons in mind. In this case, Marilyn Monroe. 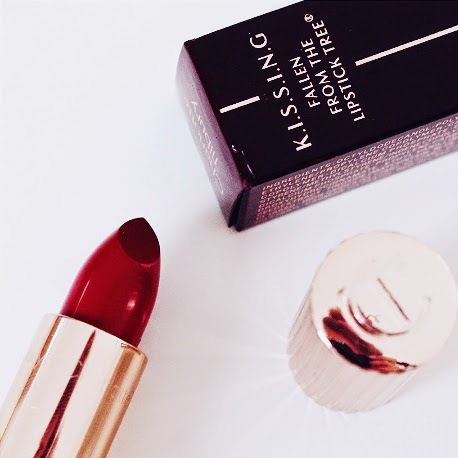 I'm a HUGE Marilyn lover, as well as a red lipstick addict, so this product just screamed my name. The lipstick is a beautiful red carpet/Hollywood red, just like Marilyn would wear. The consistency is somewhere between firm and creamy, not at all drying and the pigmentation is stunning. This leaves my lips hydrated but still bold and making a statement. So eye catching! It has good staying power, but would need to be re-applied. The packaging is also lovely. It comes in a beautiful rose gold, reflective of a vintage era. The price is £23.00, which is a little on the pricey side but I would say it is worth the investment.